Not only did the horse give a tribe increased mobility, it could also be a “guardian of the night,” alerting members to the presence of dangerous, nocturnal predators. The approach of bears and wolves in search of prey would often evoke snorting, kicking and rearing, which would wake sleeping men, women and children. 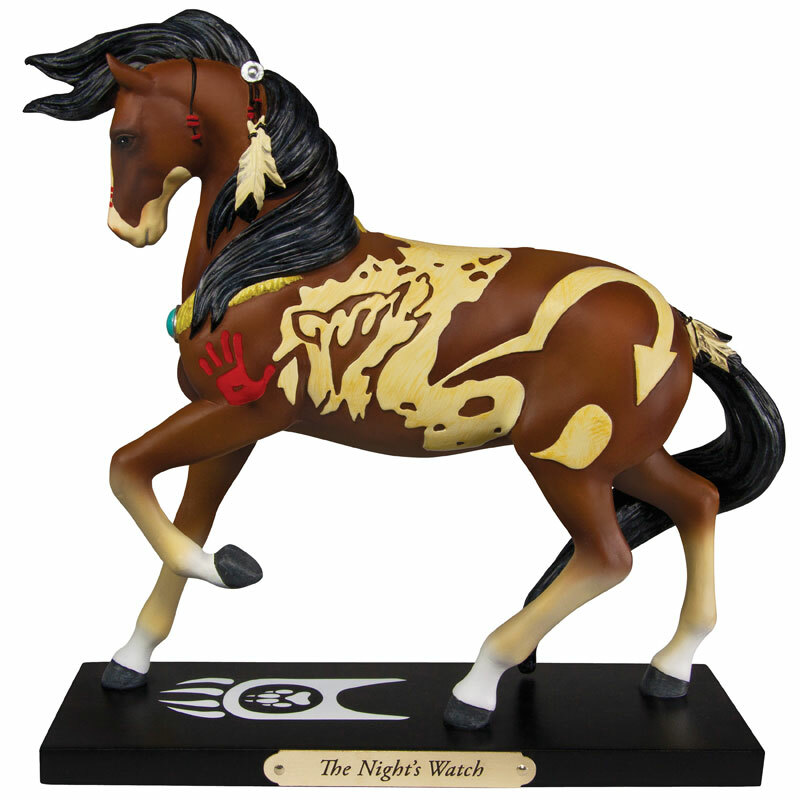 With this in mind, this Phoenix, Arizona artist imagined a Painted Pony as a talisman whose powers were told by native depictions of the wolf and bear etched into the hair on his sides, and would constitute a protective force against night attacks from anything at any time.